Smart Dubai, established to empower, deliver and promote an efficient, seamless, safe and impactful city experience for residents and visitors, in collaboration with Smart Dubai Government, the technology arm of the Smart Dubai Office, released the results of the inaugural Smart Dubai Govt. 'Shared Services Impact Report' on June 28. The report highlights the success of Smart Dubai Govt. services which together have saved the Dubai Government AED 4.3 billion. The Smart Dubai Office hosted a press conference at Convention Tower in Dubai to announce the results of the Shared Services Impact Report to the public. Hosted by Her Excellency Dr. Aisha Bin Bashr, Director-General of the Smart Dubai Office, and His Excellency Wesam Al Abbas Lootah, CEO, Smart Dubai Government (SDG), the conference revealed the results of the international, 3rd party report which analyses the Smart Dubai Government's service portfolio, to determine the cost savings to the Dubai Government as a result of shared services. "Since 2003, we have been committed to delivering impactful smart services for the Government of Dubai, in line with the vision of Vice President and Prime Minister of the UAE and Ruler of Dubai, His Highness Sheikh Mohammed bin Rashid Al Maktoum, to make Dubai a global benchmark for smart government," said Mr. Lootah. "For the first time, we can quantify the benefits that we are delivering to the government due to enhanced efficiency, greater agility, and higher responsiveness in government services." Mr. Lootah added: "The results of this report are further evidence of our ongoing commitment to ensuring the most efficient government, in line with our mandate to deliver world-class services and infrastructure as the technology arm of the Smart Dubai Office." The report was put together over the course of six months. It details how smart technology has played a significant role in transforming Dubai into an efficient city, hence Dubai's reputation as an exemplary innovator in economy and living which is further evidenced by its leading rankings on the World Bank Ease of Doing Business Index (number 23 globally) and Mercer Quality of Living Index (First in the MENA Region). Dr. Aisha said: "Technology is a means not an objective" to achieve happiness for all of Dubai's citizens and visitors. 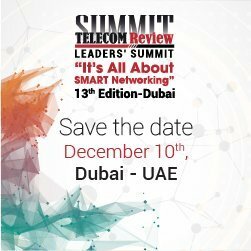 "What we have announced today is the benefits from the shared services that are offered to more than 50 government entities; shared services that are run by the Smart Dubai Government establishment," Mr. Lootah told Telecom Review. "Today we were giving an indication of what these numbers [savings] are. We have released some very positive figures. We are going to continue to invest in shared services and improve them. We have a plan to add five more shared services in the near future which we will announce in due time." Smart Dubai Government has been contributing to government efficiency through shared services for over a decade; from its early days as Dubai eGovernment, to 2013 when it became Dubai Smart Government, and then in 2015 it became the Smart Dubai Government Establishment. SDG shared services directly contribute to enhanced efficiency for Dubai under four Smart Dubai pillars: Efficient, Seamless, Safe and Impactful. The benefits of shared services include: improved efficiency, centralized security, greater agility to improve and change, higher responsiveness and a consolidated view of resources and operations. The report analysed the Smart Dubai Government service portfolio, expenditure reports and projected cost savings to determine the cost-to-savings ratio for the Government of Dubai as a result of shared smart government services. The report highlights that the Government of Dubai has saved AED 5.6 for every AED 1 spent by SDG since its inception. The report also identifies an average saving of AED 358 million per year for the Government over 12 years, resulting from SDG services. The report adds that in 2015, SDG saved the Dubai Government an average of AED 35.5 million every month. The Dubai Government saved AED 4.2 for every AED 1 spent by SDG in 2015: the highest cost-to-savings ratio of all time, and a growth of 20 percent over the previous year. The report further identifies savings in hardware and software installation and maintenance costs, as well as savings to daily operations and personnel costs. Savings are identified across all business categories, demonstrating the value-add of SDG connected and shared services for all government partners. "Smart Dubai Government is able to provide 70 percent of a government entity's department services from day one," said Mr. Lootah. "Our service portfolio drives significant benefits for the whole government - from increased CAPEX efficiency, to removing redundancies, to reduced carbon footprints resulting from shared services. Smart government services also contribute to increased employee efficiency, improved asset management and drastically reduced maintenance costs. 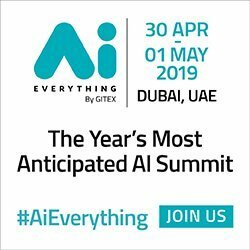 Through smart technology, we are empowering an agile and connected government to meet the future of Dubai." Total costs were calculated across four Smart Dubai Government service categories: Infrastructure Management, Government Resource Planning (GRP) services, Smart Services and the annual GITEX event. Government Resource Planning contributed the most significant savings to the Dubai Government, accounting for over AED 1.2 billion saved over 12 years. GRP services include daily business support services such as Finance, HR, Procurement and Asset Management. Mr. Lootah told Telecom Review: "The service that showed the most savings in terms of dirham figures is the Government Resource Planning service which is a service system being used by over 50 government entities, implemented over the last decade. We have many delegations coming from different countries in the region and abroad coming to see how we operate this and what is the model that we use in offering this service. It is a system that basically automates all of the office information of the government." Infrastructure Management saw the highest cost-to-savings ratio; saving the government AED 5.2 for every AED 1 spent on network services, cloud services, data and disaster recovery and communication support services. Smart Services, which include the DubaiNow app, the secure single-sign-on digital ID service MyID and ePay, all contributed an additional AED 443 million savings to the Dubai Government over 12 years. Mr. Lootah spoke to Telecom Review about how Smart Dubai is also ensuring Dubai's digital security now that the city is becoming increasingly connected and therefore more vulnerable to hackers. He said: "We have the Dubai Data Law service which was issued-in recently by His Highness Sheikh Mohammed Bin Rashid Al Maktoum. Mr. Younis Abdul Aziz Al Haj Mahmoud Al Nasser heads the Dubai Data Establishment." "They are working on a set of policies in this regard to ensure the protection and the privacy of data for individuals and the private sector," Mr. Lootah added. "They are currently working on classifying the government data into different categories so that proper controls can be put into place to ensure its protection. We are working with all stakeholders across the city including Dubai Electronic Security Centre to ensure that all the controls and the policies are in place and to ensure the security of our systems." Dubai Government savings from SDG smart services have been growing at a rate of 6 percent annually. Increases are expected as more government entities adopt smart services, in line with Dubai's smart city transformation, led by the Smart Dubai Office. SDG will soon be extending its service portfolio to the entire city, with cost savings and benefits expected to increase.